Kent Women got their Royal London One-Day Cup season off to the best possible start by defeating Yorkshire and Lancashire, the current champions, over a sun-drenched weekend at Beckenham. The margins, 8 wickets, then 9 wickets, hint at the encouragement these displays will give the squad for the rest of a demanding season. Tammy Beaumont won the toss both times; both times she opted to let the visitors bat first. With Tash Farrant’s injury not risked in the first game, this was a calculated risk, Yorkshire had the redoubtable Lauren Winfield opening, and she and Hollie Armitage got the White Roses off to a promising start. But two calamitous run-outs, involving Winfield and Jessica Watson, opened up the middle order. Yorkshire declined from 34-0 to 65-7 as Grace Gibbs, then the two off-spinners Laura Marsh and Megan Belt, put a stranglehold on the batters. Langston and Kasperek got their heads down to put on 28 for the 8th wicket and the tail wagged for a while to boost the total to 118. But nearly 8 overs had gone unused. Marsh and Belt between them bowled 17.2 overs and took 6-33. This was outstanding spin bowling on a flat pitch on a hot day. Kent now had to weather the storm that is Katherine Brunt. She had Lottie Bryan adjudged in front straight away, but after that, neither she nor the rest of the attack could make any headway against a Tammy Beaumont in imperious form and Alice Davidson-Richards selecting the ball to hit hard with increasing certainty. The pair saw Kent home with ever-growing freedom. The modest target was reached in the 34th over. 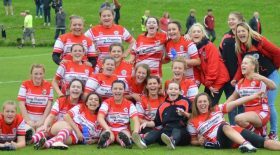 Roses of a different hue arrived the next day: a Lancashire side full of confidence after their championship win last summer. Farrant was sufficiently recovered to bowl seven overs straight off at considerable pace and take a wicket. At the other end, Arlene Kelly, the New Zealand signing, did likewise. But it was the two spinners who again dominated proceedings, taking five wickets between them. The Red Roses’ middle order collapsed like their northern neighbours the day before, and it was left to the tail-enders, Sophie Ecclestone, Rachel Dickinson, Nalisha Patel and Alex Hartley, to push the score defiantly from a dire 77-8 to a nearly respectable 157. Could the Kent top order produce a repeat performance again against three of England’s best young bowlers? They did. Bryan made a modest contribution with 10, then the captain and vice-captain picked up where they had left things the night before. 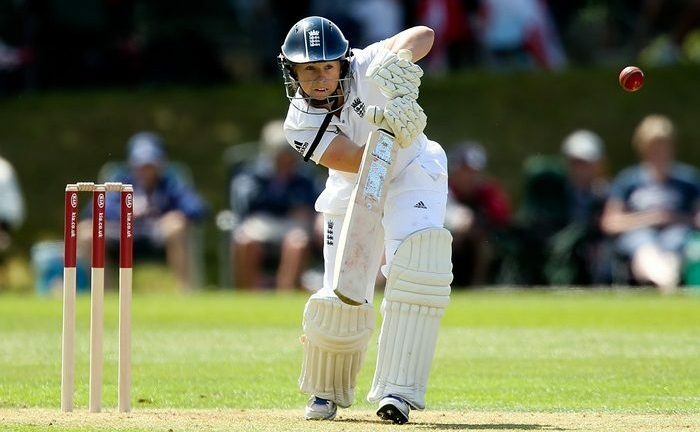 Kate Cross bowled with pace and control; the two left-arm spinners, Alex Hartley and Sophie Ecclestone, wheeled away accurately, Ecclestone pleasing the eye more with her elegant action. but none of them could interrupt the flow of runs. Lancashire needed one more reliable bowler to tie the opposition down. Evelyn Jones kept her four front-line bowlers on till the later stages; when the fifth and sixth bowlers were introduced, the runs piled up. Heads were drooping long before the winning run was hit, Beaumont finishing with 70*, Davidson-Richards with 61*.Twelve overs remained unused. It was another hard day in the sun for all but the batters. Thanks to Bruce Perkins for the report.